On May 1st, the USA’s three regulated poker markets enacted their shared liquidity pact allowing operators to offer their services across the states of New Jersey, Nevada and Delaware. This week, the Delaware Lottery subsequently released its results for the whole of the month, and in a pleasant twist the poker market was in positive territory and returned year-over-year growth for the first time in 19 months. 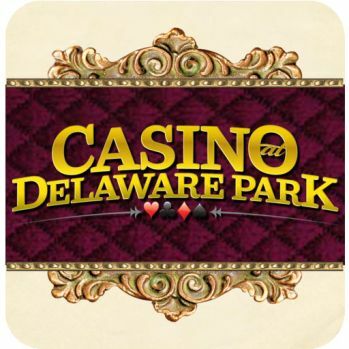 In total, Delaware’s three racinos generated $24,303 in rake and tournament fees for May, of which Delaware Park’s share accounted for $14,603, or 60% of the entire market. Next highest was Dover Downs with $6,830 in iPoker revenue, while bringing up the rear was Harrington on just $2,869. Delaware’s online poker result for May also marks the first time revenues have exceeded $20k since July 2017, with the average monthly drop reported over that period being 29%. A seismic turnaround in the First State’s fortunes was also witnessed in an upsurge in the number of players registering for an online gaming account, which last month stood at 1,394, as opposed to the 200-300 that had been registering per month over the past year. The shared liquidity network launched between Nevada and Delaware in 2015 failed to have any meaningful impact on the state’s respective poker markets, as their combined populations amounts to less than 4 million people. New Jersey with a population of 9 million people entering the compact, however, has proven to be a major catalyst for growth, allowing liquidity to push beyond the critical mass required to support a healthy online poker ecosystem. Nevertheless, the recipients currently reaping the rewards of the liquidity pact is limited to the All-American Poker Network (AAPN), consisting of WSOP.com and 888 branded poker rooms, which have a presence across all three regulated states. PokerStars NJ, for instance, had led New Jersey’s online poker market since April 2016, but last month finally gave up its top position to Caesars, whose online poker sites includes WSOP NJ, WSOP Nevada and 888 Poker. At the end of 2018, Pennsylvania passed a comprehensive gambling expansion plan that also included online gambling and poker in its provisions. The Keystone State isn’t expected to launch its regulated internet poker market until the end of this year, though, but when it does its addition to the existing Multi-State Internet Gaming Association has the potential to transform the industry. After all, Pennsylvania with a population of almost 13 million people would automatically double the size of the network’s reach. In addition, Pennsylvania already enjoys a vibrant land-based poker scene, and each month its venues generate a combined $5 million in revenue, or around double that of New Jersey. This therefore indicates that there should be a high level of interest in the online game from Pennsylvanians when the state does eventually get the industry up and running. In conclusion, the online poker liquidity network needs to continue growing if it is to offer an attractive landscape for players, as well as a lucrative opportunity for operators. At present, WSOP and 888 appear to be the sole beneficiaries of the multi-state compact, but that can all change quickly after more states pass legislation of their own, and throw in their lot with the country’s other regulated states.